Most of the varieties of Chennai Swimming Pool offer both open lanes for independent swimming and also guided activities like water aerobics or Aquabike. We possibly do not know all the Pools in Chennai. Are you missing any? Contact us!. Traveling to Chennai? This is the right spot on the web to find places to swim in Chennai. Each day you are not swimming you might be losing precious time in improving your expertise to be a greater swimmer! No alot more excuses! Find your nearest Chennai Pool and tell us how it went. Swimia.com has one of the most up-to-date database on the internet about just about any Chennai Pool. Classified by countries, regions and cities, it's simple to find the nearest pool at the places you visit. For Chennai, you can have a look at the pools we have gathered for you. Please make contact with the sports centre in Chennai to check which activities are being offered and their timetables, since varieties of Chennai Swimming Pool might have diverse rules and fares than other locations. 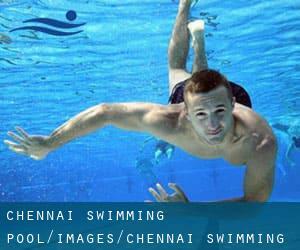 Swimia.com demands your feedback on Aquagym in Chennai to ensure all of the facts about swimming in Chennai is valid. No.30, East Club Road , Chennai (Madras) , Tamil Nadu , INDIA (Postal Code: 600 030). This sports centre provides 33 meters x 21 meters, Outdoors. For this Swimming Pool, only phone number is number here. Updated on 2019 Velachery Road , Velachery , Chennai (Madras) , Tamil Nadu , INDIA (Postal Code: 600 032). Few days ago a regular user of this centre told us they offer Olympic size x 25 meters, 10 lanes, Outdoors. Furthermore, they keep in good conditions 25 meters x 18 meters diving pool, Outdoors. For this Swimming Pool, only phone number is number here. Fairlawns, 51, Ethiraj Salai , Chennai (Madras) , Tamil Nadu , INDIA (Postal Code: 600 008). This sports centre provides 25 meters, Outdoors. For this Swimming Pool, only phone number is number here. There are several factors why you must choose a heated swimming pool in Chennai. The most significant 1 relies on the importance of keeping the body temperature stable. If the water is as well cold, your body will try to warm it up and you will lose strength to swim effectively. Enjoy the best indoor pools in Chennai and don't worry about the weather. These facilities are open all seasons and you can enjoy a swim at the same temperature every day of the year. One from the advantages of outdoor swimming in Chennai would be the possibility to sunbathe during the summer time season. Taking it with extra care, sunbathing is wholesome because introduces Vitamin D into the body, so the best option seems to be switching in between indoor and outdoor pools depending on the season. If you're tired of possessing eyes and irritated skin, locating a saltwater pool in Chennai may be the resolution. You might want to know that the degree of salt from these pools is well below the degree of salt from sea water, particularly they're talking about a tenth or less.